Aaargh aaargh make it stop!! What is that THING?? It had a clothing label, but was made on a domestic machine (zig-zagged seam finishes are always a giveaway there!). No fabric identification label though. It’s crisp and lightweight, irons beautifully, crushes easily and has that almost ‘crunchy’ feel that silk gets after being handwashed a bit too much. I did a burn test and the results seemed to match silk, but I guess we believe what we want to believe. 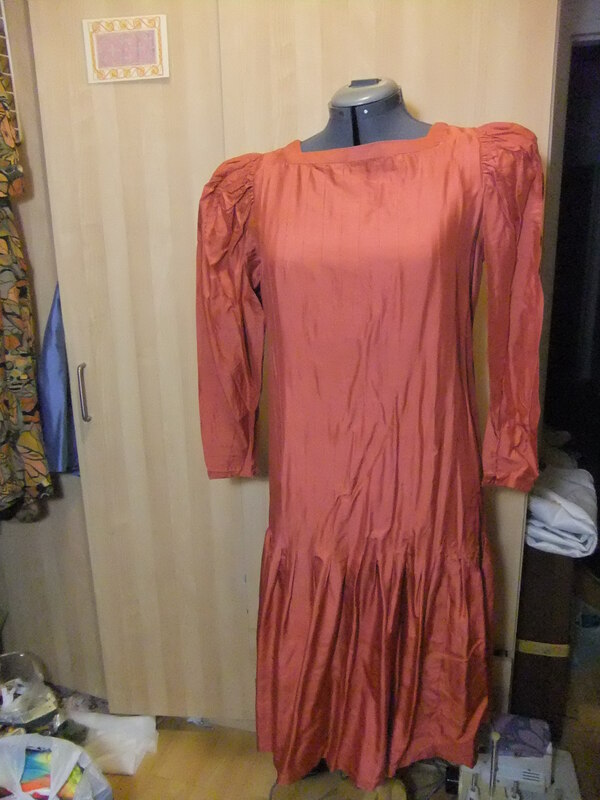 Anyway, I’d had this monstrosity in my refashion pile for some time. Yesterday afternoon I’d been vacillating between projects, unable to settle on what I wanted to make, pulling out patterns and fabric and generally creating additional chaos in my tiny sewing room. Eventually I gave myself a mental slap and yelled (with my inside voice, of course) ‘JUST CHOP IT UP FOR GOODNESS SAKE’. 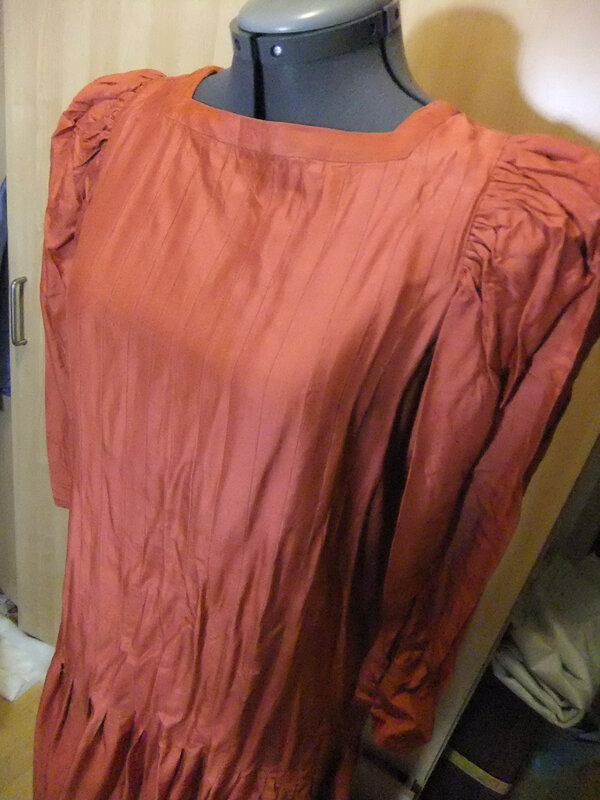 The fullness of the skirt is created by the bodice tucks, um, stopping, and there’s some gathers at the sides too. I cut the skirt off at that line, and cut the sleeves off as well. There were these big under-puff puffer thingies designed to keep the puffy sleeves from loosing their puffiness. Needless to say they are now in the bin. No puff required in this refashion. New sleeves were cut from the skirt offcut, using the existing hemline as the sleeve hems, because I’m lazy, and this is a refashion. You know, one of the things I love about refashioning is it allows me to be pretty relaxed about finishes and construction. The thing cost me $3; I’m so not worried about the curved bit of hem which created a little ruck on the inside. It’s on the INSIDE!!! No-one can see it!! Press that sucker from the outside – looks the ticket – job done! Also not too worried about the sleeve fitting, which was a gamble from the start. I just used a basic sleeve pattern, there was no way I was going to spend time drafting a sleeve head to match this armhole. So the fit at the back of the sleeve is a little wonky. Don’t look to hard. My goal at the moment is to make a few shirts for work now that that weather is getting cooler. 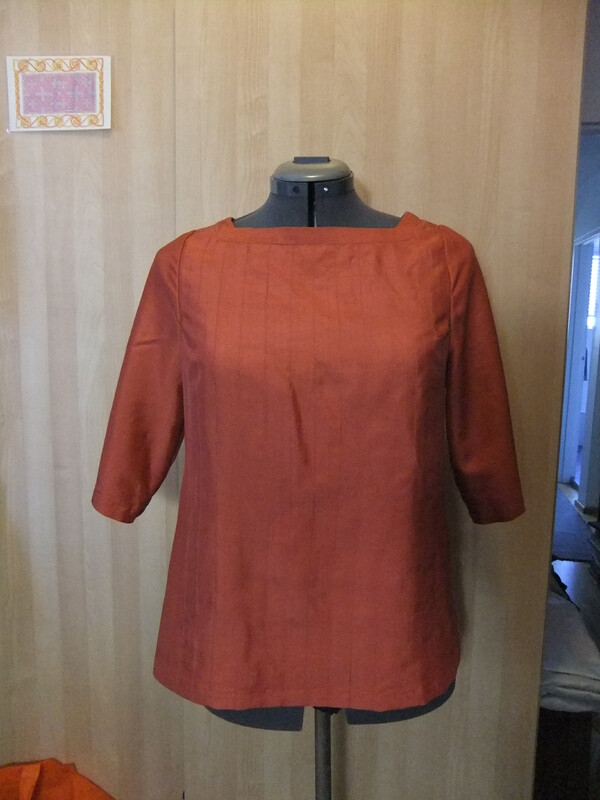 I want to have a go at the 2-hour-top by SewDifferent but as usual can’t decide what fabric I want to use. I also caved in and hit StyleArc during their Etsy shop sale and bought the Elita top, which I have fabric for but am dreading tiling the pattern together. I like the slightly boxy-shaped tops that are trending at the moment, and I think I have managed that with this top. 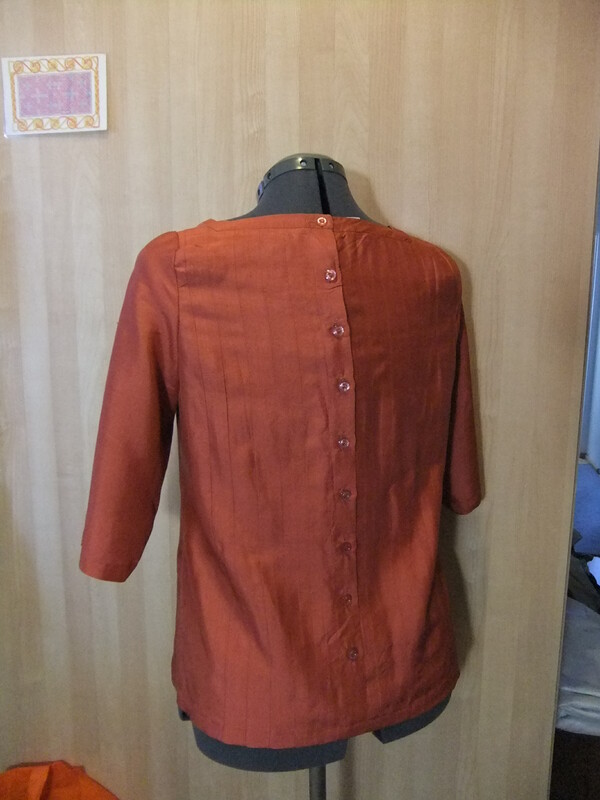 Do you enjoy refashioning? How do you find it compares with from-scratch garment making? oooh that’s ugly! Or it WAS! good job. Stunning job at refashioning the dress. Sadly I remember the time when it was the bees knees to wear something like that! !